Engel has been making coolers, and live bait coolers, for a long time. During that time, they’ve made small incremental improvements to this already awesome cooler. 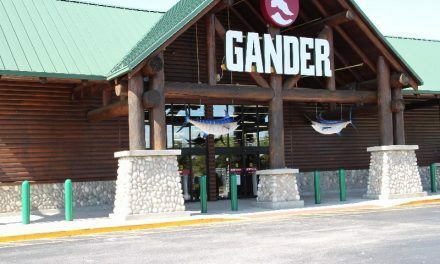 We admire a brand that continues to make it’s products better even after it’s known to be at the top of most recreational fishermen’s lists. For this review, we chose to review the 13QT model as we felt we’d get the best use from it given it’s not too big, and not too small. 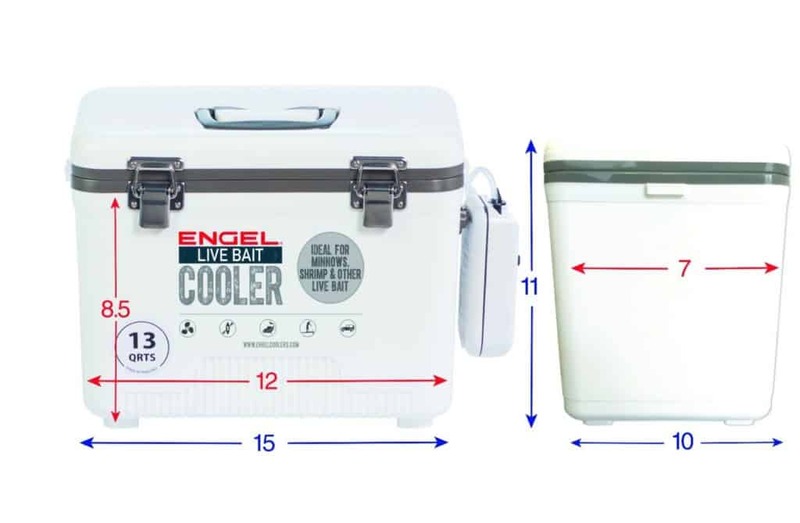 We used our Engel Bait Cooler over the course of several trips in temperatures reaching 92F. Over the course of a 3-day trip we lost not one of our live bait. The old hanging tray was good, and we had no complaints but the new pull net Engel introduced is even easier to use. It was easy to get to our bait. That was a no brainer upgrade. 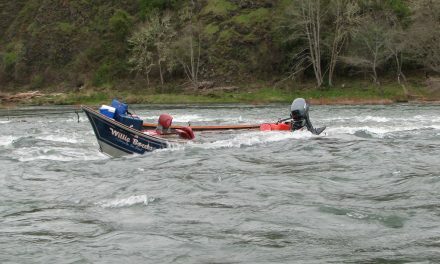 The other thing Engel did is to move the hose that aerates your bait so that it routes through the lid of the cooler, whereas before it routed out the side and tended to dump a little water when you were loading it into the boat. 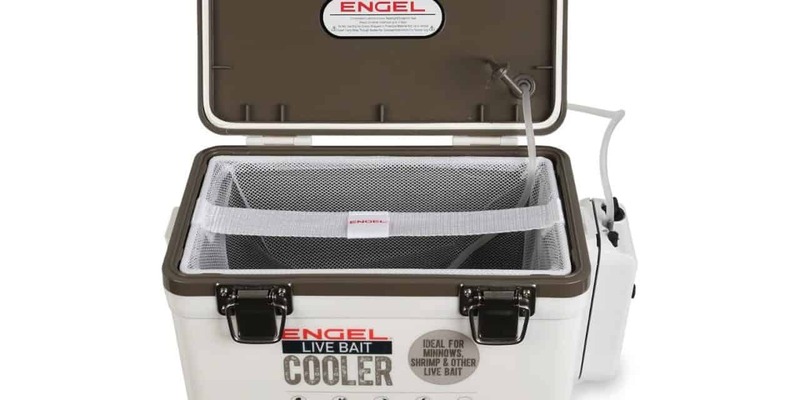 This Engel cooler still aerates the bait water with fresh air bubbles, and that with the cooler space simply works to keep bait alive. 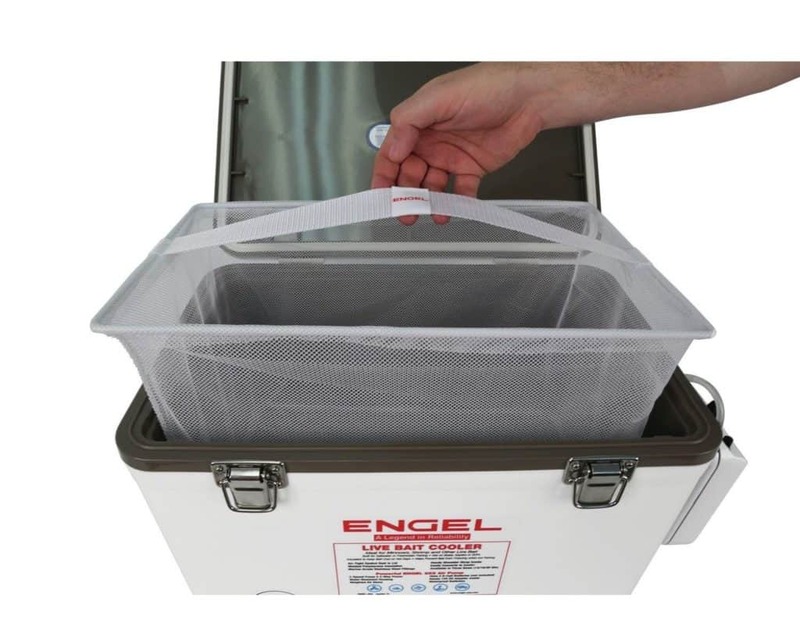 The exterior shell of this Engel Live Bait Cooler 13QT is made from PP Copolymer, also known as PPC. It’s known for its impact strength, and durability. This is one of those products that will outlive many of us to be enjoyed by our kids and grandkids. In short, it’s a strong cooler, capable of taking a beating, and doing its job day in and day out. The net will be more vulnerable to wear and tear than the previous plastic tray, but it’s so much more convenient. Our advise it to treat the net much like you would your fishing net, with care, and it will last a long time. Durability: This cooler is made to last. Ease of Use: If your temps get high (85F or warmer) you’ll want to pre-cool your cooler with a bag of ice. before you use it. 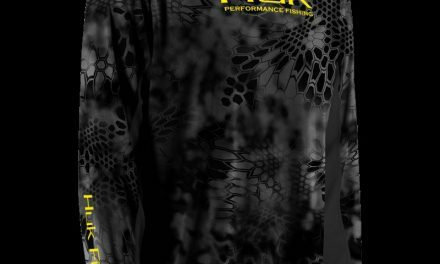 Value: $79.99 for a quality product with a proven track record, that’s built to last, will pay for itself in the bait you save by using it. 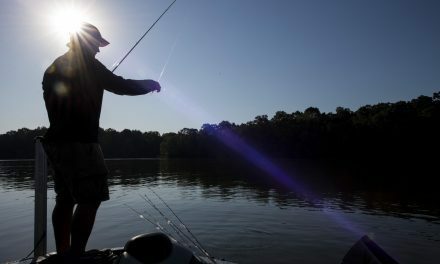 Engel is not the only bait cooler available – there are products from Frabill, among others but few offer the value and longevity of the Engel product at anywhere near this price. THE BEST LIVE BAIT COOLER FOR RECREATIONAL FISHING The Engle Live Bait Cooler set the standard as the best cooler for keeping your bait fresh - it was the top the top bait cooler when it was first introduced, and it just got even better with a new net system that replaced the previous hanging tray making it even easier to use.